Euthanasia Prevention Coalition Euthanasia Prevention Coalition: 2017 Oregon assisted suicide report. The number of deaths increase again. 2017 Oregon assisted suicide report. The number of deaths increase again. The 2017 Oregon annual assisted suicide report is similar to prior years. The report implies that the deaths were voluntary (self-administered), but the information in the report does not address that subject. According to the 2017 Oregon assisted suicide report. There were 143 reported assisted suicide deaths up from 138 in 2016.
one person survived and died of natural causes. 14 of the deaths, the drugs were prescribed in previous years. There were 218 lethal prescriptions obtained, up from 204 in 2016. According to the 2017 Oregon report, the ingestion status was unknown in 23 deaths. When the ingestion status is unknown the authorities do not know if the person died by assisted suicide. It is possible that some or all of the 23 unknown deaths were assisted suicide deaths. These deaths may represent unreported assisted suicide deaths. In December, Fabian Stahle, a Swede who is concerned about assisted suicide, communicated by email with a representative of the Oregon Health Authority. 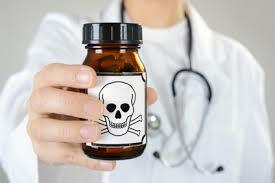 Oregon Health Authority reveals hidden problems with the Oregon assisted suicide law. Stahle confirmed that the definition of terminal illness, used by the Oregon Health Authority includes people who may become terminally ill if they refuse effective medical treatment. Hidden problems with the Oregon assisted suicide law. The responses to Stahle from the Oregon Health Authority also confirmed that there is no effective oversight of the Oregon assisted suicide law. The Oregon assisted suicide act is designed to deceive. The yearly Oregon DWD reports are based on data from the physicians who approved the assisted suicide death and the data is not independently verified. Therefore, we don't know if the information from these reports is accurate or if abuse of the law has occurred.